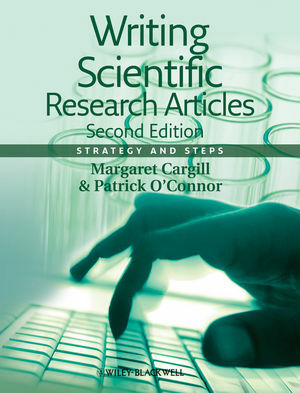 This book shows scientists how to apply their analysis and synthesis skills to overcoming the challenge of how to write, as well as what to write, to maximise their chances of publishing in international scientific journals. The book uses analysis of the scientific article genre to provide clear processes for writing each section of a manuscript, starting with clear ‘story’ construction and packaging of results. Each learning step uses practical exercises to develop writing and data presentation skills based on reader analysis of well-written example papers. Strategies are presented for responding to referee comments, and for developing discipline-specific English language skills for manuscript writing and polishing. The book is designed for scientists who use English as a first or an additional language, and for individual scientists or mentors or a class setting. In response to reader requests, the new edition includes review articles and the full range of research article formats, as well as applying the book’s principles to writing funding applications. Margaret Cargill is an applied linguist with over 20 years experience as a research communication educator. Her current research centres on innovative collaborative methods for helping scientists develop high-level skills for communicating their research findings effectively in the international arena. She has worked extensively in Australia, Europe and Asia with scientists of many language and cultural backgrounds. Patrick O’Connor is a research ecologist, environmental consultant and science educator. His work over the last 15 years has focussed on the use of scientific principles in designing and evaluating environmental programs for governments and statutory authorities in Australia. His research interests and scientific publications span fields of terrestrial ecology and detection of change in plant and animal communities.